You probably know New Zealand for its beautiful mountains, lakes, Hobbiton and kiwi (both the fruit and bird)… But most are not aware of the gorgeous starry sky that it offers! 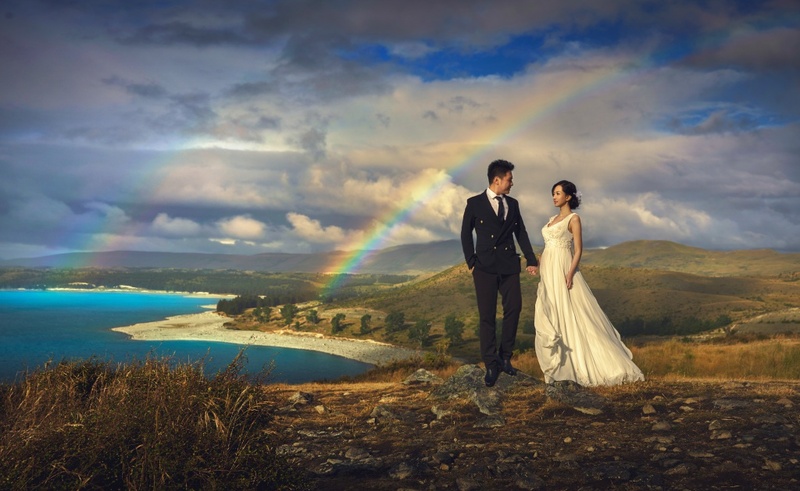 We are spellbound by these GORGEOUS New Zealand pre-wedding photos. Thanks to OneThreeOneFour photographers, who carefully took these stunning photos. 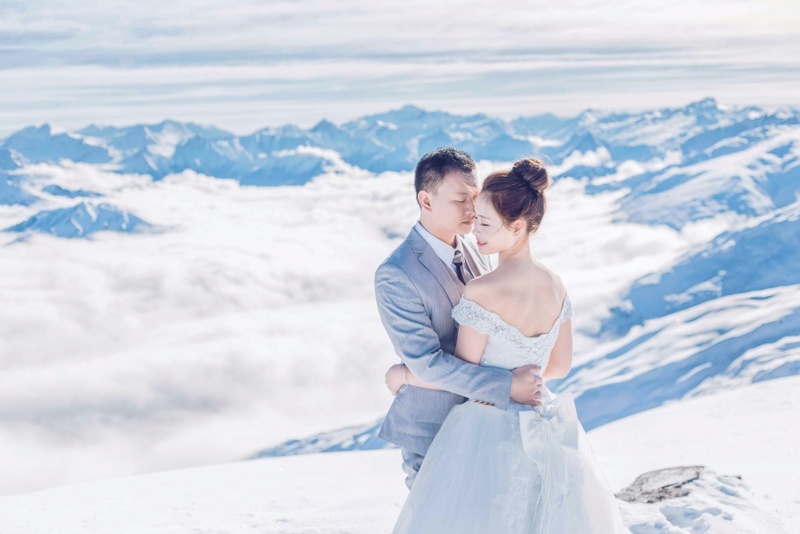 Modern day couples prefer to have their wedding photos taken overseas. 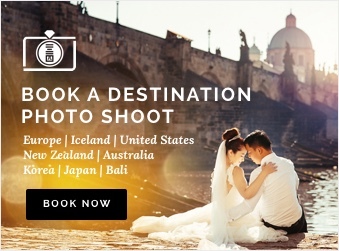 With the world as your backdrop, brides and grooms have a tough time deciding where to have their pre wedding photoshoot. With the help of talented photographers from OneThreeOneFour, we share with you beautiful pre wedding photos taken around the world. For night shooting, our photographers would bring our clients to Lake Tekapo – 3 hours from Christchurch, far from all civilisation. 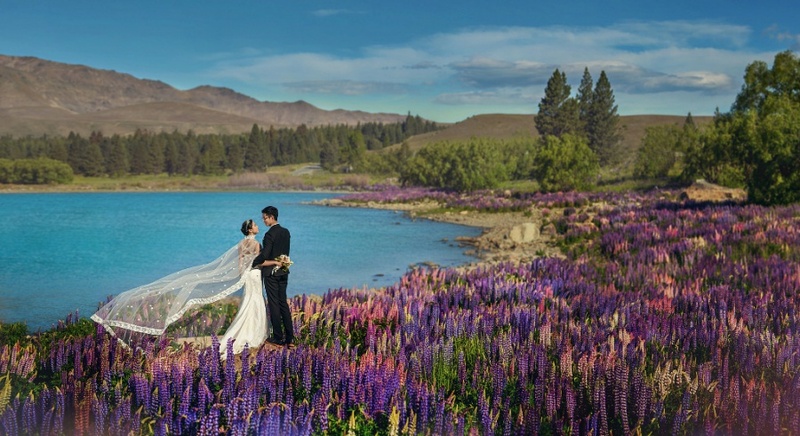 Clients will typically spent the earlier half of their prewedding shoot at Lake Tekapo’s Lupins field. Soon after, the sun set and the dazzling night sky too over Lake Tekapo. Untainted by any light pollution, it was a magnificent sight. The isolation and flat plains provided a beautiful clear sky that offers unparalleled views of the stars. Incorporate this with the famous historical Church of the Good Shepherd in the background, they present the perfect and most iconic backdrop for New Zealand. Lake Tekapo is part of a UNESECO Dark Sky Reserve, this is probably the best spot for stargazing in the Southern hemisphere. The Church of the Good Shepherd is one of the most famous spot at Lake Tekapo. It was the first church in the Mackenzie Basin, built in 1935. Can’t get enough of star-gazing? Check out our pre-wedding photoshoot packages in New Zealand on our site now!